There has been an enormous amount of information published about Facebook tips. Weeding through what works best for you will take time and testing. We have collected a list of our 15 fabulously favorite Facebook tips for Pages that we have gathered from a variety of sources from Mari Smith, Social Media Examiner, Buddy Media and more to a few ideas of our own that we have found useful. Use compelling, eye-catching images with your posts. “Eye candy” photos get better visibility in news feeds. When someone is kind enough to comment on one of your posts, make it a point to take the time to comment back. Everyone likes to be acknowledged and by commenting back, you show that you genuinely care. Vary your comments on other Facebook pages instead of posting the same message over and over. Posting repetitive messages may set off a Facebook flag that could result in a temporary posting ban. For example, if one of your photos was shared multiple times and you would like to thank each person, consider different versions of expressing your gratitude, like “Thank you for sharing this” and “I appreciate your sharing this”. Choose pages that you would like to connect with and not only like them, but engage by commenting on their posts. Social media is about creating and building relationships. Fan Page networking parties are great, but no one should feel an obligation to like each and every page. Likes are a privilege and not a right. If someone shares your content, thank them. If possible, engage in a conversation. You will be amazed at how a simple and golden “thank you” can inspire a relationship. If your first name is not part of your business name consider including your first name when you post a comment from your business profile on Facebook. Whether you are commenting on another page or your own, including your first name will bring a personal touch. In this example, Heidi, of Guild West Agency has included her name after responding to a comment. Do you have a non-local business Facebook page? Include the link to your website in the “About” section. The link will appear right under the profile picture and will help your visitors to quickly connect with your website. In this example, B Squared Media included the company’s website address in the About section. Always give credit where credit is due. It is the right social thing to do. For example, if you read about a news item on someone else’s page and post your own graphic and spin about the news, consider including the source such as “News via ME Marketing Services”. Consider adding a second admin to your Facebook business account. This way, if you ever lose access, the second admin will be able to access and manage your page. Consider changing your Timeline cover photo from time to time. For example, you might like to include a holiday themed cover photo during the holidays. Please SHARE an image or graphic that someone else has created and posted on Facebook instead of downloading it and uploading it to your Facebook page as your own. Consider using the full URL when including a link in your Facebook post. Why? A Buddy Media study showed 3X higher engagement rates for full-length URLs in Facebook posts over links generated by a URL shortener. 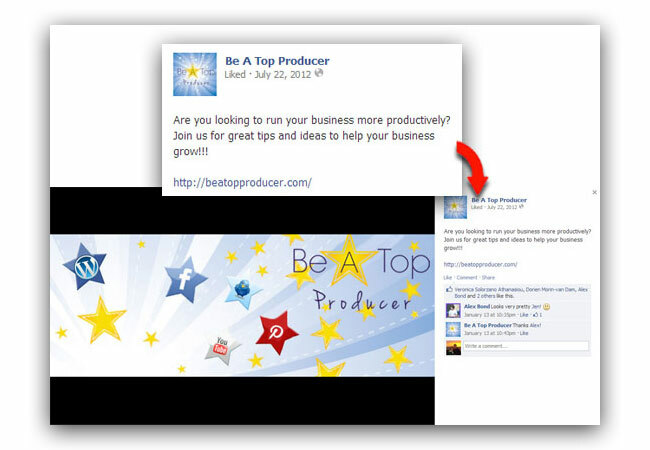 Do you have any favorite Facebook tips that have proven to be effective? Have you used any of our fabulous 15 favorites? Please share them in the comments below. Robin, this is one of the best lists of this type I’ve seen in awhile, and I’ve seen lots of them. Timing is perfect for me as I’ve just taken on management of a client’s Facebook page (a Shenandoah Valley B & B) as well as always trying to keep my own page up to date. This will be so, so helpful, and I’m getting ready to share it to my Facebook page. Thank you. Elizabeth, it is great to hear that you like this list! There are so many Facebook tip lists, and these are absolute favorites that we have used. Thank you, Elizabeth, for your encouraging words and for sharing this too! Hi Robin, Thank you for this article. It has a lot of helpful hints. Reading through them I can see that I have been remiss in not doing a number of them. This is well worth sharing. Thank you. Hi John, It is great to hear from you and to hear that you like this article. I know that there is a lot of information out there, but wanted to share our favorites. Thank you, John, for taking the time to comment and for sharing it! That was a treasure trove of tips. It’s always great when a post packs an informational and educational wallop. And it’s so nice when these “lists” actually share something new. You succeeded on all fronts. Kudos. It is great to have a little help from our friends with articles like this. I appreciate your commenting and allowing us to feature one of your holiday cover photos! Thank you so much for taking the time to comment! I am honored. Buddy Media’s research is an invaluable source of information and it is an honor to include it in the post. Super post, Robin! I love that you give a list but also give visual examples (I’m a visual learner). I’m definitely going to share, as I’m sure this will benefit practically anyone. Thank you, Brooke! 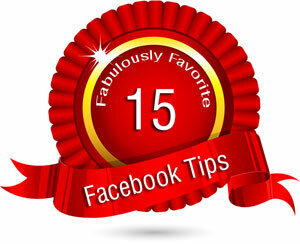 There are so many Facebook tip lists around, but this one is a list of our definite favorites. 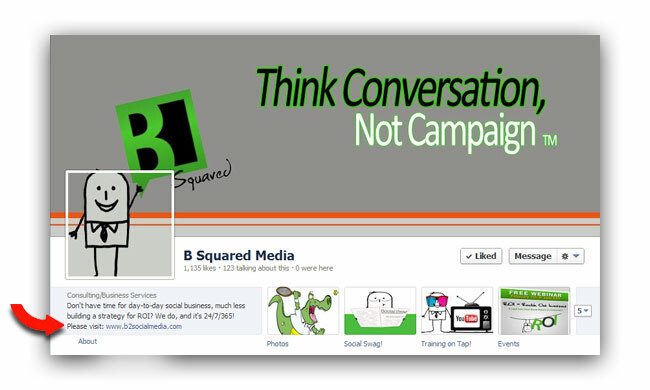 It was an absolute pleasure featuring B Squared as a company that is doing social right. Thank you! Helpful, many seem to be simple courtesy but I guess we all forget that from time to time. I do. I like the simple question I will be suing that very soon. LOL I jut spent nearly an hour figuring out how to shorten my URL, now it needs to go long? KInda makes sense in a way though, as the shorten ones don’t really say what the site might be about. Thank you, Jerry, for commenting! Yes, I suppose you are absolutely right. Many on this list do appear to be with simple courtesy. Then again, isn’t social media about being social which involves courtesy? I found the tip from Buddy Media interesting as well. It does make perfect sense. What a great list to work from. I have bookmarked and shared! It is great to hear that you like this list. Do you have a favorite? Thank you for bookmarking and sharing it. I like the “Change your Timeline Cover” tip. That is something I need to do more! Hi Mandy, I’m glad to hear that you like the tips. Thank you for commenting on Facebook and here. It is greatly appreciated! These are great tips and beautifully presented. Thank you for them — you have reminded me about “first name basis”. I used to put my name at the end of posts but have not been doing this recently! This is a great list full of many useful tips Robin. I would add that posting self-revealing information about yourself every once in awhile can help engagement and foster meaningful relationships. That is a great idea and fantastic addition to the list. Thank you for sharing it! I have to admit for my main client, photos work best. We do a health tip with an appropriate custom graphic and often we will customize them for particular community members. I’ve had a lot of troubles getting people to answer questions vs just ‘liking’ them. This post is giving me some great ideas to try and shake some stuff up a bit. I’m glad to hear that this list has given you some ideas that might shake some stuff up a bit. I had a great time testing out the different types of posts and putting the list together. I would love to hear how it goes when you do test a few ideas out. Loving points 12 and 15. How had I not heard that about shortening links leading to fewer click-throughs? Thanks for that! Alisa, that was an eye opener to me as well and it after I thought about it, it made so much sense. Thank you for letting us know your favorites on the list! Pretty Link Lite is a great plugin, Alisa. The Pro version is great as well. Thank for bringing it up. Can’t believe I missed this one, Robin! Good stuff here. I particularly like the ideas for good comments and replies. Sharing! I’m so glad to hear that you like the list! I particularly like the ideas for comments and replies 🙂 Thank you for sharing it! So glad I found your Site… Such wonderful information and tips ! Thank you, Tammy! It is so nice to meet you. I’m glad to hear that you have found our site helpful. You mentioned etiquette for commenting on other pages as the business page. I am able to comment on other business/company pages, but not on personal pages. Do you know if this is possible? Hello! Someone in my Facebook group shared this site with us so I came to give it a look. I’m definitely enjoying the information. I’m book-marking and will be tweeting this to my followers! Superb blog and wonderful design and style. Hi Mildred, thank you for stopping by. It is so nice to meet you! Great tips. Since I’ve been a fan of yours I’m happy to say I do most of them. Only new idea is #8- using my name after a comment from my business. Hi Rosylyn, That is great! I have found that it is much more personable – social if one includes their name when commenting from their logo/brand. I appreciate you stopping by and commenting.